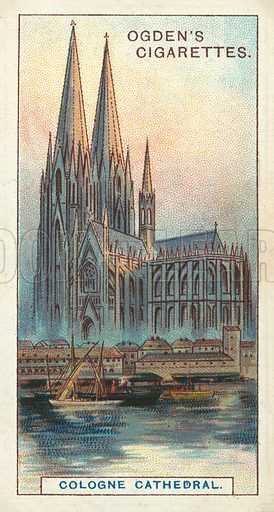 Cologne Cathedral, The Most Celebrated Spires in the World. Illustration for one of a series of cigarette cards on the subject of Records of the World, published by Ogden's Cigarettes, early 20th century. Available worldwide for immediate download up to 2,928 x 5,464 pixels.